Email marketing is a nice partA�of online marketing and could be a very effective one. Could be, because you need to know how to set up, analyse, monitor and optimize your email marketing campaigns. Over the years we learned and discovered the do’s and don’ts within email marketing. We decided to help clients with their email marketing campaigns to make sure they reach their goals and don’t waste marketing budget. 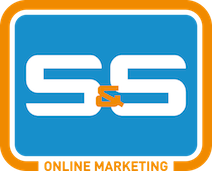 S&S Online Marketing can help you with the complete email marketing process. We adjust our services to your needs. If you are looking for a partner which takes care of the complete process, we are there. But also if you would like to take carer of most processes and just need a partner which can analyse orA�optimize your campaigns. An effectiveA�email marketing campaign is based on the needs of the customer, thus ensuring maximum Return On Investment (ROI). Through segmenting the right audience and thus sending a personalized e-mail, the probability of conversion through the email campaign increases. During the e-mail marketing campaign the click and purchase behavior of subscribers is being monitored by our marketing team to achieve the best possible result. Every email marketing program we undertake on your behalf is based on every companies unique needs and objectives. We can create and send emails as part of your content marketing program. We also can develop and manage a durable email-based lead nurturing and lifecycle program. More information about Email Marketing? Would you like to know more about email marketing? Looking for a partner to outsource all your email marketing activities? Contact us by info@marketingcompany.ae, fill in our contact form or call + 31 36 30300 61. We would love to visit your office and get in touch!